Our teaching will continue in Psalm 119 from verses 169-176. AND THE TITLE OF OUR MESSAGE IS, YOUR TORAH IS MY DELIGHT. And with that said, let’s read Psalm 119.169-176. PSALM 119.169 LET MY CRY COME NEAR BEFORE YOU, O LORD. GIVE ME UNDERSTANDING ACCORDING TO YOUR WORD. THIS WORD CRY IN HEBREW IS RE’NAH THAT MEANS A PRAYERFUL PLEA. THE WRITER OF PSALM 119 CRIED OUT TO GOD IN PRAYER FOR UNDERSTANDING OF HIS WORD. UNDERSTANDING IS OF GREAT IMPORTANCE WHEN READING THE BIBLE, AND STUDYING THE WORDS SPOKEN BY GOD. IT TAKES TIME AND EFFORT. IT TAKES OBEDIENCE TO EVERY WORD GOD SPEAKS IN THE BIBLE. KNOWING THAT GOD’S WORD NEVER CHANGES OR ENDS. 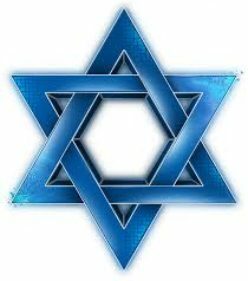 IT IS KNOWN THROUGHOUT THE WORLD THAT THE JEWISH PEOPLE ARE GOD’S CHOSEN PEOPLE. BUT VERY FEW PEOPLE KNOW THE REASONS WHY GOD CHOSE THE JEWISH PEOPLE. GOD TEACHES IN THE BIBLE THAT HE CHOSE THE JEWISH PEOPLE TO BE A HOLY PEOPLE, AND A SPECIAL PEOPLE TO HIMSELF ABOVE ALL THE PEOPLE THAT ARE UPON THE FACE OF THE EARTH, AND BECAUSE GOD LOVES THE JEWISH PEOPLE. AND THE BIBLE TEACHES THAT GOD CHOSE THE JEWISH PEOPLE TO BE HIS WITNESSES TO THE WORLD, TO KNOW AND BELIEVE GOD, AND UNDERSTAND THAT GOD IS GOD. BEFORE HIM THERE WAS NO GOD FORMED. NEITHER WILL THERE BE ANOTHER GOD AFTER HIM. AND THE BIBLE TEACHES THE JEWISH PEOPLE TO KNOW, AND BELIEVE, AND UNDERSTAND THAT GOD IS THE LORD, AND BESIDE HIM THERE IS NO SAVIOR. THAT IS AN EXTRAORDINARY HONOR THAT GOD HAS PLACED UPON THE JEWISH PEOPLE, AND A MINISTRY TO BE CHERISHED. GOD FOR THE MOST PART SPOKE EXCLUSIVELY TO JEWISH PEOPLE THROUGHOUT THE BIBLE, THROUGHOUT THE OLD AND THE NEW TESTAMENT. AND JEWISH PEOPLE RECORDED EVERY WORD GOD SPOKE IN THE BIBLE FROM GENESIS THROUGH REVELATION. AND EVERY WORD GOD SPOKE TO THE JEWISH PEOPLE IS FOR JEWISH PEOPLE AND ALL THE WORLD TO LIVE BY. GOD IS THE GOD OF EVERY HUMAN BEING. AND GOD HAS ONLY ONE LAW AND ONE TEACHING. AND THAT ONE LAW AND ONE TEACHING IS EVERY WORD SPOKEN BY GOD WRITTEN IN THE BIBLE. AND ISAIAH 43.10-11. GOD SAID TO THE JEWISH PEOPLE THROUGH THE JEWISH PROPHET ISAIAH, YOU ARE MY WITNESSES, SAITH THE LORD, AND MY SERVANT WHOM I HAVE CHOSEN THAT YOU SHALL KNOW AND BELIEVE ME, AND UNDERSTAND THAT THERE IS ONLY ONE GOD AND NO OTHERS. TO KNOW GOD, YOU MUST KNOW THAT GOD IS GOD, AND THERE ARE NO OTHER GODS BESIDE HIM. YOU MUST RECOGNIZE THAT GOD IS A GOD OF TRUTH. THAT EVERY WORD GOD SPEAKS IN THE BIBLE IS TRUTH. THAT IS TO SAY, YOU MUST AGREE WITH EVERY WORD GOD SPEAKS IN THE BIBLE AS OPPOSED BY WHAT YOU HEAR FROM MAN. TO BELIEVE GOD IS TO LIVE YOUR LIFE ACCORDING TO EVERY WORD GOD SPEAKS IN THE BIBLE. AND THAT INCLUDES THE LAW OF MOSES. THE LAW OF MOSES IS THE WRITTEN WORD OF GOD. AND TO UNDERSTAND GOD, YOU MUST KNOW AND BELIEVE THAT THERE IS ONLY ONE GOD AND NO OTHERS. AND OBEY EVERY WORD GOD SPEAKS IN THE BIBLE. HIS COMMANDMENTS ARE NOT DIFFICULT. GOD SAYS THROUGH THE PROPHET IN ISAIAH 43.11, I EVEN I AM THE LORD AND BESIDE ME THERE IS NO SAVIOR. THE HEBREW FOR I EVEN I AM THE LORD IS, AH’NO’KHI AH’NO’KHI YEHOVAH. AH’NO’KHI AH’NO’KHI YEHOVAH MEANS I AM, I AM THE LORD. GOD IS SPECIFIC BY SAYING, I AM, I AM THE LORD AND BESIDE ME THERE IS NO SAVIOR. MEANING, MESSIAH YESHUA, THE LORD AND SAVIOR, IS THE LORD GOD ALMIGHTY, HA SHEM ELOHIM, THE FATHER. AS A WITNESS FOR THE LORD GOD ALMIGHTY, YESHUA THE MESSIAH, YOU MUST KNOW, AND BELIEVE, AND UNDERSTAND THAT EVERY WORD GOD SPEAKS IN THE BIBLE IS TRUTH, TO BE OBEYED. YOU MUST AGREE WITH, AND OBEY TORAH, THE LAW OF MOSES, AND MESSIAH YESHUA, THAT MAN DOES NOT LIVE BY BREAD ONLY BUT BY EVERY WORD THAT PROCEEDS OUT OF THE MOUTH OF THE LORD DOES MAN LIVE. THEREFORE THE TRUE WITNESS OF GOD MUST KNOW, BELIEVE, AND UNDERSTAND THAT THERE IS ONLY ONE GOD. THAT THE TRINITY OF THREE DIFFERENT gods, JESUS BEING THE SECOND god IN THE GODHEAD IS IDOLATRY AND BELIEF IN MANY gods. BECAUSE THERE IS ONLY ONE GOD AND NO OTHERS. IT IS WRITTEN. AND THE TRUE WITNESS OF GOD MUST KNOW, BELIEVE, AND UNDERSTAND THAT EVERYONE INCLUDING YOURSELF MUST LIVE BY EVERY WORD THAT PROCEEDS OUT OF THE MOUTH OF GOD WRITTEN IN THE BIBLE THAT INCLUDES THE LAW OF MOSES WHICH IS THE SPOKEN WORD OF GOD. AND ATONEMENT IS REQUIRED THROUGH FAITH IN MESSIAH YESHUA. THAT IS BEING A WITNESS FOR GOD. PSALM 119.170 LET MY SUPPLICATION COME BEFORE YOU. DELIVER ME ACCORDING TO YOUR WORD. THE WORD SUPPLICATION MEANS BEING VERY HUMBLE WHEN COMING TO THE LORD IN PRAYER AND ASKING HIM FOR SOMETHING. SO THE WRITER IS ASKING THE LORD IN PRAYER, LET MY SUPPLICATION COME BEFORE YOU. DELIVER ME ACCORDING TO YOUR WORD. THE WORDS DELIVER ME IN HEBREW IS HA’STEE’LAY’NEE THAT MEANS DEFEND ME, RESCUE ME, SAVE ME, AND DELIVER ME. WHEN YOU LIVE YOUR LIFE ACCORDING TO EVERY WORD GOD SPEAKS IN THE BIBLE THAT INCLUDES THE LAW OF MOSES, AND YOU HAVE ATONEMENT FOR YOUR SINS THROUGH FAITH IN MESSIAH YESHUA, YOU ARE LIVING YOUR LIFE ACCORDING TO THE GOSPEL OF GOD. YOU ARE A HOLY PERSON UNTO THE LORD YOUR GOD, AND THE LORD YOUR GOD HAS CHOSEN YOU TO BE SPECIAL TO HIMSELF ABOVE ALL PEOPLE THAT ARE UPON THE FACE OF THE EARTH BECAUSE THE LORD YOUR GOD LOVES YOU. AND YOU KNOW AND BELIEVE GOD, AND UNDERSTAND THAT GOD IS GOD AND THERE ARE NO OTHER GODS BESIDE HIM. THAT HE IS THE LORD, AND BESIDE HIM THERE IS NO SAVIOR. THAT MESSIAH YESHUA IS GOD ALMIGHTY, HA SHEM ELOHIM, THE FATHER, THE ONE AND ONLY GOD, YOUR LORD AND SAVIOR. THEREFORE WHEN YOU GO TO THE LORD IN PRAYER AND SUPPLICATION, YOU CAN EXPECT THAT GOD WILL ALWAYS DELIVER YOU FROM WHATEVER DELIVERANCE YOU ARE ASKING HIM FOR. BECAUSE YOUR LIFE IS BOUND IN THE LORD YOUR GOD. PSALM 119.171 MY LIPS SHALL UTTER PRAISE WHEN YOU HAVE TAUGHT ME YOUR STATUTES. AGAIN, STATUTES IN HEBREW IS KHU’KEEM MEANING GOD’S COMMANDMENTS, HIS DECREES AND HIS LAWS THAT ARE WRITTEN IN THE LAW OF MOSES. EVERY WORD GOD SPEAKS IN THE LAW OF MOSES AND THROUGHOUT THE BIBLE IS GOD’S COMMANDMENT, HIS DECREE, AND HIS LAW. AND WHEN GOD TEACHES YOU HIS STATUTES, AND GOD WILL TEACH YOU HIS STATUTES WHEN YOU DILIGENTLY SEARCH FOR UNDERSTANDING FROM THE BIBLE AND NOT FROM MAN, YOU WILL PRAISE THE LORD. PSALM 119.172 MY TONGUE SHALL SPEAK OF YOUR WORD, FOR ALL YOUR COMMANDMENTS ARE RIGHTEOUSNESS. AGAIN, THE WORD RIGHTEOUSNESS IN HEBREW IS STEH’DEHK MEANING RIGHT. GOD’S COMMANDMENTS ARE RIGHT. THEY ARE TAUGHT IN TORAH, THE LAW OF MOSES. COMMANDMENTS IN HEBREW, AS IN ALL GOD’S COMMANDMENTS, IS MEETZ’VOTE MEANING EVERY COMMANDMENT OF GOD IN THE BIBLE IS RIGHTEOUSNESS, AND LAW, TEACHING AND DOCTRINE. THEREFORE KNOWING, BELIEVING, AND UNDERSTANDING GOD IS OBEYING EVERY COMMANDMENT OF GOD IN THE OLD AND NEW TESTAMENT. PSALM 119.173 LET YOUR HAND HELP ME, FOR I HAVE CHOSEN YOUR PRECEPTS. BECAUSE YOU ARE LIVING BY EVERY SPOKEN WORD OF GOD WRITTEN IN THE BIBLE, AND YOU HAVE ATONEMENT FOR YOUR SINS THROUGH FAITH IN MESSIAH YESHUA, YOU ARE LIVING YOUR LIFE ACCORDING TO THE GOSPEL OF GOD. THEREFORE THE HAND OF GOD IS ALWAYS UPON YOU TO HELP YOU AND YOUR FAMILY BECAUSE YOU LIVE YOUR LIFE ACCORDING TO GOD’S PRECEPTS. ACCORDING TO EVERY SPOKEN WORD OF GOD WRITTEN IN THE LAW OF MOSES IN THE FIRST FIVE BOOKS OF THE BIBLE. PSALM 119.174 I HAVE LONGED FOR YOUR SALVATION, O LORD. AND YOUR LAW, THAT IS, YOUR TORAH IS MY DELIGHT. LET’S LOOK AT HEBREWS 6.1. THEREFORE LEAVING THE PRINCIPLES OF THE DOCTRINE OF MESSIAH. I LIKE HOW THE COMPLETE JEWISH BIBLE DESCRIBES THE PRINCIPLES OF THE DOCTRINE OF MESSIAH, AS THE INITIAL LESSONS ABOUT THE MESSIAH. I BELIEVE THE INITIAL LESSONS ABOUT THE MESSIAH TAUGHT IN THE CHURCH IS THIS. JESUS DIED FOR YOUR SINS, WAS RAISED AGAIN THE THIRD DAY. BELIEVE THAT AND YOU HAVE ETERNAL LIFE IN HEAVEN. WELL, THERE’S A WHOLE LOT MORE TO IT THAN THAT. THE OLD TESTAMENT IS STILL VERY MUCH PART OF THE BIBLE AND WILL ALWAYS BE VERY MUCH PART OF THE BIBLE. IN FACT THE LAW OF MOSES IS THE FOUNDATION OF THE BIBLE. THAT WILL NEVER CHANGE. NO ONE CAN ABOLISH THE LAW OF MOSES, NOR CAN ANYONE SUPPLANT THE OLD TESTAMENT. BUT LET’S CONTINUE WITH THE VERSE. THEREFORE LEAVING BEHIND THE INITIAL LESSONS ABOUT THE MESSIAH, LET US GO ON TO PERFECTION, NOT LAYING AGAIN THE FOUNDATION OF REPENTANCE FROM DEAD WORKS. DEAD WORKS ARE SIN. SIN IS DISOBEYING GOD BY DISOBEYING THE LAW OF MOSES. AND OF FAITH TOWARD GOD. FAITH IN GOD IS BELIEF AND OBEDIENCE TO GOD. GOING ON TO PERFECTION IS BEING PERFECT IN THE EYES OF GOD BY WALKING IN HIS STATUTES, KEEPING HIS COMMANDMENTS, ALL GOD’S LAWS, AND TEACHINGS THAT ARE WRITTEN IN THE LAW OF MOSES. THE POINT I’M MAKING HERE FROM THE WORD OF GOD WRITTEN IN THE BIBLE IS THAT SALVATION, ETERNAL LIFE IN HEAVEN WITH A GOOD AND HEALTHY LIFE ON EARTH, COMES FROM LIVING YOUR LIFE ACCORDING TO EVERY WORD GOD SPEAKS IN THE BIBLE, AND HAVING FAITH IN MESSIAH YESHUA FOR THE FORGIVENESS OF ALL YOUR SINS. AND WHEN YOU MESS UP, CONFESS YOUR SINS TO THE LORD BECAUSE HE IS FAITHFUL AND JUST TO FORGIVE YOU YOUR SINS, AND CLEANSE YOU FROM ALL UNRIGHTEOUSNESS. WE ALL LONG FOR GOD’S SALVATION, BUT GOD’S TORAH, THE LAW OF MOSES MUST BE YOUR DELIGHT. PSALM 119.175-176 LET MY SOUL LIVE, AND IT SHALL PRAISE YOU. I HAVE GONE ASTRAY LIKE A LOST SHEEP. SEEK YOUR SERVANT FOR I DO NOT FORGET YOUR COMMANDMENTS. YOU ARE THE CHOSEN OF GOD, HOLY UNTO THE LORD YOUR GOD BECAUSE YOU LIVE BY EVERY WORD GOD SPEAKS IN THE BIBLE INCLUDING HIS TORAH, THE LAW OF MOSES. AND YOU HAVE FAITH IN MESSIAH YESHUA FOR YOUR ATONEMENT. BECAUSE GOD HAS CHOSEN YOU TO BE SPECIAL TO HIMSELF ABOVE ALL PEOPLE UPON THE FACE OF THE EARTH. AND THE LORD LOVES YOU WITH AN EVERLASTING LOVE. YOU NEVER FORGET HIS COMMANDMENTS. THEREFORE DO NOT EVER GO ASTRAY, BECAUSE THE LORD YOUR GOD LOVES YOU, AND REQUIRES YOU TO CONTINUE TO LOVE HIM AND KEEP HIS COMMANDMENTS, HIS TORAH FOREVER WITH FAITH IN MESSIAH YESHUA FOR YOUR ATONEMENT. FOR HE IS YOUR LIFE. Posted on March 18, 2019 March 24, 2019 Categories Shabbat MessageLeave a comment on GREAT PEACE HAVE THEY WHO LOVE YOUR LAW, AND IS NOT AN OBSTACLE FOR THEM. Our teaching this morning will continue in Psalm 119 from Verses 137 through 152. AND THE TITLE OF OUR MESSAGE IS, YOUR RIGHTEOUSNESS IS AN EVERLASTING RIGHTEOUSNESS, AND YOUR LAW IS THE TRUTH. AND WITH THAT SAID, LET’S READ PSALM 119.137-152. PSALM 119.137 RIGHTEOUS ART THOU, O LORD, AND UPRIGHT ARE YOUR JUDGMENTS. LET’S EXPLAIN THE MEANING OF SOME OF THESE WORDS IN THIS VERSE. RIGHTEOUS IN HEBREW IS STAH’DEEK THAT MEANS JUST AND LAWFUL. JUST, BECAUSE GOD SPEAKS WHAT IS TRUE AND RIGHT. LAWFUL, BECAUSE GOD LIVES ACCORDING TO HIS LAWS THAT ARE WRITTEN IN TORAH, THE LAW OF MOSES. THINK ON THAT. GOD LIVES ACCORDING TO ALL HIS LAWS THAT ARE WRITTEN IN TORAH, THE LAW OF MOSES. HE DOES NOT ADD TO THEM, NOR DOES HE TAKE AWAY FROM THEM. THE WORD UPRIGHT IN HEBREW IS YAH’SHAHR MEANING RIGHTEOUS. AND JUDGMENTS IN HEBREW IS MEESH’PAH’TEEM MEANING GOD’S LAWS CONCERNING PENALTIES FOR CRIMES. GOD DOES ALL THINGS THAT ARE JUST AND LAWFUL. AS I WAS PREPARING THESE WORDS, I THOUGHT OF THE FOOLISHNESS OF PEOPLE WHO BELIEVE THAT JESUS ABOLISHED THE LAW OF MOSES WHEN GOD SAYS THROUGH THE PROPHET ISAIAH THAT THE WORD OF OUR GOD SHALL STAND FOREVER. ADD TO THAT, MESSIAH YESHUA TEACHES THAT ALL PEOPLE MUST LIVE BY EVERY WORD THAT PROCEEDS OUT OF THE MOUTH OF GOD. THEREFORE BECAUSE OF THE FALSE DOCTRINE THAT JESUS ABOLISHED THE LAW OF MOSES, MOST PEOPLE REJECT THE SPOKEN WORD OF GOD IN HIS LAW OF MOSES, AND HAVE REPLACED GOD’S WRITTEN WORD WITH MAN MADE LIES. PSALM 119.138 YOUR TESTIMONIES THAT YOU HAVE COMMANDED ARE RIGHTEOUS AND VERY FAITHFUL. GOD’S TESTIMONIES ARE EVERY WORD HE SPEAKS IN THE BIBLE. AND EVERY WORD GOD TESTIFIES IS TRUTH. JOHN 8.18 MESSIAH YESHUA TESTIFIES ABOUT HIMSELF. THAT IS TO SAY, MESSIAH WITNESSES ABOUT HIMSELF. AND THE FATHER, GOD ALMIGHTY WHO IS MESSIAH YESHUA, WITNESSES ABOUT MESSIAH YESHUA. AND MESSIAH YESHUA TESTIFIES THAT HE IS GOD THE FATHER. THAT ALSO IS A MYSTERY, BUT SOLVED IN THE BIBLE. THEREFORE THE WRITER OF PSALM 119 UNDERSTANDS THAT GOD’S TESTIMONIES, EVERY WORD HE SPEAKS IN THE BIBLE IS RIGHTEOUS AND FAITHFUL. THEY ARE TRUTH, RELIABLE, CAN ALWAYS BE TRUSTED, AND SHOULD ALWAYS BE BELIEVED, AND OBEYED. PSALM 119.139-141 MY ZEAL HAS CONSUMED ME BECAUSE MY ENEMIES HAVE FORGOTTEN YOUR WORDS. THE WORD ZEAL HAS A MEANING OF PASSION, LOVE, FIRE, DEVOTION, AND A KEEN APPETITE FOR GOD. AND THIS WORD FORGOTTEN IN HEBREW IN VERSE 139 IS SHA’KHAHKH THAT MEANS OBLIVIOUS. THE ENEMIES OF THE WRITER OF PSALM 119 ARE OBLIVIOUS TO GOD’S SPOKEN WORDS. THEY ARE BLIND TO THE SPOKEN WORD OF GOD IN THE BIBLE. AND THAT IS THE MYSTERY. THOUGH BILLIONS OF PEOPLE READ THE BIBLE, AND THE BILLIONS WHO DO NOT READ THE BIBLE, MOST PEOPLE ARE BLIND TO THE SPOKEN WORDS OF GOD IN THE BIBLE THAT REQUIRES ALL HUMANITY TO LIVE BY EVERY WORD GOD SPEAKS IN THE BIBLE INCLUDING THE LAW OF MOSES. THE WRITER GOES ON TO SAY IN VERSE 140, YOUR WORD IS PURE, THEREFORE YOUR SERVANT LOVES IT. AND CONTINUES IN VERSE 141, THOUGH I AM SMALL AND DESPISED, YET I DO NOT FORGET YOUR PRECEPTS. GOD’S PRECEPTS ARE HIS LAWS THAT ARE WRITTEN IN THE LAW OF MOSES IN THE FIRST FIVE BOOKS OF THE BIBLE. SO MANY PEOPLE DO NOT SEE, HEAR, OR UNDERSTAND THE PURE SPOKEN WORD OF GOD IN THE BIBLE BECAUSE GOD HAS HIDDEN IT FROM THEM. BUT THE TORAH OBSERVANT BELIEVER IN MESSIAH YESHUA NEVER FORGETS THE LAW OF MOSES. WE LIVE BY IT. PSALM 119.142 YOUR RIGHTEOUSNESS IS AN EVERLASTING RIGHTEOUSNESS, AND YOUR LAW IS TRUTH. LOOK, JESUS NEVER ABOLISHED THE LAW OF MOSES. THE LAW OF MOSES IS THE SPOKEN WORD OF GOD, AND NOBODY CAN CHANGE OR ABOLISH THE SPOKEN WORD OF GOD. IT IS WRITTEN. ISAIAH 40.8 SATAN MAY TRY TO CONVINCE PEOPLE THAT JESUS ABOLISHED THE LAW OF MOSES, AND BECAUSE GOD HAS CLOSED THE EYES, EARS, AND HEART OF SO MANY PEOPLE TO GOD’S SPOKEN WORD, SATAN HAS HUGE SUCCESS WITH HIS LIE. BUT JESUS NEVER ABOLISHED THE LAW OF MOSES. THE JESUS CHRIST OF THE BIBLE IS GOD ALMIGHTY THE FATHER. MESSIAH YESHUA IS THE WORD OF GOD. JOHN 1.1 IN THE BEGINNING WAS THE WORD, AND THE WORD WAS WITH GOD, AND THE WORD IS GOD. ANYONE WHO BELIEVES THAT JESUS ABOLISHED THE LAW OF MOSES THAT IS WRITTEN IN GENESIS, EXODUS, LEVITICUS, NUMBERS AND DEUTERONOMY IS IN SIN. THOSE PEOPLE DISOBEY GOD BY DISOBEYING HIS LAW OF MOSES. SIN IS BREAKING THE LAW OF MOSES. ANY ONE LAW WRITTEN IN THE LAW OF MOSES. SO WHAT DOES GOD SAY ABOUT THE BOOK OF LIFE IN THE NEW TESTAMENT? REVELATION 20.15 AND WHOSOEVER WAS NOT FOUND WRITTEN IN THE BOOK OF LIFE WAS CAST INTO THE LAKE OF FIRE. REVELATION 21.27 AND THERE SHALL NOT ENTER INTO IT (THE NEW JERUSALEM THAT IS THE NEW EARTH WHICH IS HEAVEN) ANYTHING THAT DEFILES, NEITHER WHATSOEVER WORKS ABOMINATION, OR MAKES A LIE, BUT THEY WHICH ARE WRITTEN IN THE LAMB’S BOOK OF LIFE. SIN IS BREAKING THE LAW OF MOSES. BUT SO MANY PEOPLE ARE TAUGHT THE LIE THAT JESUS ABOLISHED THE LAW OF MOSES. THAT IS NOT A SALVATION MESSAGE. THE SALVATION MESSAGE IS THIS. LIVE BY EVERY WORD SPOKEN BY GOD IN THE BIBLE INCLUDING THE LAW OF MOSES, AND HAVE FAITH IN MESSIAH YESHUA FOR YOUR ATONEMENT. THAT LEADS TO A GOOD, HEALTHY, AND SUCCESSFUL LIFE ON EARTH, AND ETERNAL LIFE IN HEAVEN. SO THE WRITER OF PSALM 119 WRITES IN VERSE 142, THAT GOD’S RIGHTEOUSNESS IS AN EVERLASTING RIGHTEOUSNESS, AND HIS LAW OF MOSES IS THE TRUTH. THE FRUITS OF FALSE PROPHETS WHO ARE FALSE TEACHERS TEACH LIES THAT JESUS ABOLISHED THE LAW OF MOSES. THE FRUITS OF THE PROPHETS OF GOD AND THE TEACHERS OF GOD TEACH THAT THE LAW OF MOSES, AND EVERY WORD THAT PROCEEDS OUT OF THE MOUTH OF GOD WRITTEN IN THE BIBLE SHOULD BE OBEYED. AND NOT ONLY DO THEY TEACH THE LAW OF MOSES, THE PROPHETS AND TEACHERS OF GOD LIVE BY THE LAW OF MOSES AND EVERY WORD THAT PROCEEDS OUT OF THE MOUTH OF GOD THAT IS WRITTEN IN THE BIBLE. PSALM 119.143-144 TROUBLE AND ANGUISH HAVE TAKEN HOLD OF ME, YET YOUR COMMANDMENTS ARE MY DELIGHT. THE RIGHTEOUSNESS OF YOUR TESTIMONIES IS EVERLASTING. GIVE ME UNDERSTANDING AND I SHALL LIVE. THERE IS SO MUCH TROUBLE AND ANGUISH AND DIVISION IN THE WORLD TODAY THAT TAKES HOLD OF US BECAUSE THE WORLD IS BLIND TO THE SPOKEN WORD OF GOD IN THE BIBLE. THOSE WHO HAVE FAITH IN MESSIAH YESHUA FOR THEIR ATONEMENT, AND LIVE THEIR LIFE BY EVERY WORD GOD SPEAKS IN THE BIBLE INCLUDING THE LAW OF MOSES HAVE A GOOD AND HEALTHY LIFE ON EARTH AND ETERNAL LIFE IN HEAVEN. THAT IS THE GOSPEL, AND THE MYSTERY OF THE GOSPEL, AND THE MYSTERY OF GOD, AND THE MYSTERY OF MESSIAH YESHUA, AND THE MYSTERY OF THE KINGDOM OF HEAVEN. PSALM 119.145-146 I CRIED WITH MY WHOLE HEART, HEAR ME O LORD. I WILL KEEP YOUR STATUTES. I CRIED UNTO YOU, SAVE ME, AND I SHALL KEEP YOUR TESTIMONIES. LIVING A RIGHTEOUS LIFE IN GOD ALMIGHTY THE MESSIAH YESHUA, OBEYING HIS EVERY WORD IN THE BIBLE DOES NOT ELIMINATE PROBLEMS IN LIFE. BUT LIVING WITH GOD, LIVING BY HIS WORD IS PLEASING TO HIM, AND YOU KNOW THAT GOD LOVES YOU, THAT THE LORD YOUR GOD IS ALWAYS WITH YOU, IN THE GOOD TIMES AND THE BAD TIMES. AND THAT YOU HAVE LIFE WITH GOD, ETERNAL LIFE WITH THE GOD OF CREATION, MESSIAH YESHUA, IN ABSOLUTE PERFECTION IN HIS FUTURE KINGDOM ON EARTH IN ISRAEL FOR 1,000 YEARS THAT WILL BE GARDEN OF EDEN LIVING. AND ETERNAL LIFE IN HEAVEN, A PLACE OF BEAUTY BEYOND OUR IMAGINATION WITH EVERLASTING JOY, WHERE THERE IS NO SIN, NO CURSE, NO HATE, NO WARS, NO DEATH, NO DIVISION, NO SICKNESS, NO PAIN, OR SORROW, BUT LIFE WITH GOD FACE TO face BECAUSE THE LORD YOUR GOD HAS CHOSEN YOU, AND HE LOVES YOU. WHEN WE CRY TO GOD, HE SAVES US. HE DELIVERS US AND RESCUES US BECAUSE WE LOVE HIM AND KEEP HIS STATUTES, HIS LAWS THAT ARE WRITTEN IN THE LAW OF MOSES. AND WE KEEP HIS TESTIMONIES, EVERY WORD GOD SPEAKS IN THE BIBLE. AND WHEN THE LORD GOD ALMIGHTY, THE MESSIAH YESHUA APPEARS, WE WILL BE LIKE HIM, FOR WE WILL SEE HIM AS HE IS. PSALM 119.147-149 I PREVENTED THE DAWNING OF THE MORNING, AND CRIED. I HOPED IN YOUR WORD. BETTER SAID, I RISE IN THE MORNING WITH THE DAWN, AND I CRIED OUT, MY HOPE IS IN YOUR WORD. MY EYES PREVENT THE NIGHT WATCHES THAT I MIGHT MEDITATE IN YOUR WORD. BETTER SAID, MY EYES OPEN BEFORE THE NIGHT WATCHES (A HEBREW EXPRESSION FOR A PART OF THE NIGHT FOR MILITARY WATCHES) THAT I MAY MEDITATE ON YOUR WORD. HEAR MY VOICE ACCORDING TO YOUR LOVING KINDNESS, O LORD. QUICKEN ME ACCORDING TO YOUR JUDGMENT. BETTER SAID, HEAR MY VOICE ACCORDING TO YOUR LOVING KINDNESS, O LORD. REVIVE ME ACCORDING TO YOUR JUDGMENT. THE WRITER OF PSALM 119 IS SO IN LOVE WITH GOD. HE OR SHE RISES IN THE MORNING AND CRIES OUT TO THE LORD THAT HE HOPES IN GOD’S WORD, AND TRUSTS IN HIS WORD. EVEN IN THE NIGHT TIME, THE WRITER MEDITATES IN GOD’S WORD. AND ACCORDING TO GOD’S LOVING KINDNESS, THE WRITER KNOWS THAT THE LORD GOD OF ISRAEL WILL REVIVE HIM IN TIMES OF DESPAIR. PSALM 119 NOT ONLY SHOWS THAT THE WRITER HAS A CLOSE RELATIONSHIP TO GOD BY ABSOLUTE OBEDIENCE TO TORAH, GOD’S LAW OF MOSES, BUT PSALM 119 IS ALSO A WONDERFUL TESTIMONY TO THOSE WHO LOVE GOD AND KEEP HIS COMMANDMENTS. AND IT IS CRITICAL FOR THOSE WHO BELIEVE IN MESSIAH YESHUA TO KNOW AND UNDERSTAND THAT GOD GIVES THE HOLY SPIRIT TO THOSE WHO OBEY HIM, TO THOSE WHO OBEY EVERY WORD GOD SPEAKS IN THE BIBLE INCLUDING HIS LAW OF MOSES. FOR THE BIBLE SAYS, WHOSO KEEPS TORAH, THE LAW OF MOSES, IS A WISE SON. THE LAW OF MOSES IS THE VOICE OF GOD. PSALM 119.150 THEY THAT DRAW NEAR TO FOLLOW AFTER MISCHIEF, THEY ARE FAR FROM YOUR LAW. THIS WORD MISCHIEF IN HEBREW IS ZEE’MAH THAT MEANS TO PLAN WICKEDNESS. THEREFORE THE BIBLE SAYS, THEY THAT DRAW NEAR TO FOLLOW A PLAN OF WICKEDNESS ARE FAR FROM TORAH, THE LAW OF MOSES. PSALM 119.151 YOU ARE NEAR, O LORD, AND ALL YOUR COMMANDMENTS ARE TRUTH. AGAIN, GOD’S COMMANDMENTS ARE HIS LAWS WRITTEN IN THE LAW OF MOSES. AND THEY ARE ALL TRUTH. REMEMBER WHEN PILOT ASKED MESSIAH, WHAT IS TRUTH, JUST BEFORE YESHUA GAVE HIS LIFE FOR OUR ATONEMENT? THE TRUTH IS MESSIAH YESHUA WHO IS GOD ALMIGHTY, AND THE WORDS, LAWS AND COMMANDMENTS THAT GOD SPEAKS IN THE BIBLE FROM GENESIS THROUGH REVELATION THAT INCLUDES THE LAW OF MOSES. THAT IS TRUTH. PSALM 119.152 CONCERNING YOUR TESTIMONIES, I HAVE KNOWN OF OLD THAT YOU HAVE FOUNDED THEM FOREVER. AGAIN, GOD’S TESTIMONIES ARE EVERY WORD GOD SPEAKS IN THE BIBLE. GOD TESTIFIES TRUTH IN HIS SPOKEN WORD THROUGHOUT THE BIBLE THAT INCLUDES THE LAW OF MOSES. SO I LOOKED UP THE WORD FOREVER, AS IN, YOU HAVE FOUNDED YOUR TESTIMONIES FOREVER. AND FOREVER, AS EVERYONE KNOWS MEANS, WITHOUT EVER ENDING. GOD’S SPOKEN WORDS IN THE BIBLE ARE GOD’S TESTIMONIES THAT ARE FOREVER WITHOUT EVER ENDING. SO WHY DOES THE BIGGEST RELIGION IN THE WORLD, CHRISTIANITY, WHO READ AND TEACH FROM THE BIBLE THAT RECORDS THE SPOKEN WORD OF GOD, TEACH THAT JESUS ABOLISHED THE LAW OF MOSES WHEN IT IS WRITTEN IN THE BIBLE THAT GOD’S TESTIMONIES, HIS SPOKEN WORD IS FOREVER WITHOUT EVER ENDING? BECAUSE THE MYSTERY OF INIQUITY, THE MYSTERY OF THE KINGDOM OF HEAVEN, THE MYSTERY OF THE KINGDOM OF GOD, THE MYSTERY OF MESSIAH, THE MYSTERY OF GOD, THE MYSTERY OF THE GOSPEL, THE MYSTERY OF THE FAITH IN A PURE CONSCIENCE ARE ALL HIDDEN FROM THE CHURCH. THEY ARE ALL MYSTERIES TO THE CHURCH SEEING THAT THE CHURCH AND MANY MESSIANIC CONGREGATIONS REJECT THE LAW OF MOSES THAT IS FOUNDED BY GOD FOREVER. THEREFORE THE TRUTH IS A MYSTERY TO THE CHURCH AND TO MANY MESSIANIC CONGREGATIONS. THE MYSTERY THAT IS SOLVED IN THE BIBLE IS THIS. ALL NATIONS AND PEOPLES SHOULD KNOW THAT GOD REQUIRES THEM TO LIVE BY EVERY WORD THAT PROCEEDS OUT OF THE MOUTH OF THE LORD. THAT INCLUDES THE LAW OF MOSES. THAT IS THE MYSTERY. Posted on March 10, 2019 March 15, 2019 Categories Shabbat MessageLeave a comment on YOUR RIGHTEOUSNESS IS AN EVERLASTING RIGHTEOUSNESS, AND YOUR LAW IS TRUTH. IT IS TIME FOR YOU LORD TO ACT FOR THEY HAVE VOIDED YOUR LAW. Our teaching this morning will continue in Psalm 119 from Verses 121 through 136. AND THE TITLE OF OUR MESSAGE IS, IT IS TIME FOR YOU LORD TO ACT FOR THEY HAVE VOIDED YOUR LAW. And with that said, let’s read Psalm 119.121-136. PSALM 119.121 I HAVE DONE JUDGMENT AND JUSTICE. LEAVE ME NOT TO MY OPPRESSORS. BETTER SAID, I HAVE DONE WHAT IS JUST AND RIGHT. DO NOT LEAVE ME TO MY OPPRESSORS. BEING JUST AND RIGHT IN THE SIGHT OF GOD IS WHAT THE BIBLE DESCRIBES AS BEING PERFECT. WHEN YOU ARE LAW ABIDING, LIVING BY EVERY WORD GOD SPEAKS IN THE LAW OF MOSES, YOU ARE PERFECT IN THE SIGHT OF GOD. AND YOU ARE RIGHT WITH GOD WHEN YOU OBEY GOD’S TORAH, HIS LAW OF MOSES. HEBREWS 13.21 DOING THE WILL OF GOD IS HAVING THE LAW OF MOSES IN YOUR HEART, LIVING BY THE LAW OF MOSES. THUS THE WRITER ASKS GOD FOR HIS PROTECTION AGAINST THOSE WHO OPPRESS HIM, KNOWING IN HIS HEART THAT GOD WILL WATCH OVER HIM, AND HIS FAMILY, AND PROTECT THEM ALWAYS. PSALM 119.122 BE SURETY FOR YOUR SERVANT FOR GOOD. LET NOT THE PROUD OPPRESS ME. BETTER SAID, GUARANTEE YOUR SERVANT FOR GOOD. DO NOT LET THE PROUD OPPRESS ME. THE NAME OF OUR GOD AND MESSIAH IS YESHUA. YESHUA IN HEBREW MEANS SALVATION. SALVATION IS BEING SAFE, SAVED, AND RESCUED. SALVATION ALSO MEANS DELIVERANCE, VICTORY, HEALTH, AND HELP. GOD ALMIGHTY, YESHUA THE MESSIAH, IS YOUR GUARANTEE FOR GOOD. ADD TO THAT, THE LORD YOUR GOD, MESSIAH YESHUA IS AGAINST THOSE WHO SEEK TO OPPRESS YOU BECAUSE YOU LOVE THE LORD YOUR GOD, AND YOU ARE JUST AND RIGHTEOUS. YOU LIVE BY EVERY WORD GOD SPEAKS IN THE BIBLE, AND YOU HAVE FAITH IN MESSIAH YESHUA FOR YOUR ATONEMENT. MESSIAH’S NAME, YESHUA / SALVATION, SAYS IT ALL. COLOSSIANS 2.1-2 KNOWING THE MYSTERY OF GOD THE FATHER WHO IS MESSIAH YESHUA IS THIS; YOU LIVE YOUR LIFE BY EVERY WORD THAT PROCEEDS OUT OF THE MOUTH OF GOD THAT RESULTS IN SALVATION. OBEDIENCE TO EVERY WORD GOD SPEAKS IN THE BIBLE IS THE MYSTERY THE WORLD DOES NOT SEE, NOR DO THEY UNDERSTAND. PSALM 119.123 MY EYES FAIL FOR YOUR SALVATION, AND FOR THE WORD OF YOUR RIGHTEOUSNESS. THE HEBREW FOR, MY EYES FAIL FOR YOUR SALVATION, IS, AY’NY KAH’LU LEE’YESHUA’TEH’KHAH. I BELIEVE THE WRITER IS SAYING, MY EYES YEARN FOR YOUR DELIVERANCE, JUST AS JACOB SAID, I HAVE WAITED FOR YOUR SALVATION / YOUR DELIVERANCE, O LORD. NOT ONLY DOES THE WRITER YEARN FOR GOD’S SALVATION, HE OR SHE YEARNS FOR THE WORD OF GOD’S RIGHTEOUSNESS BECAUSE EVERY WORD GOD SPEAKS IS RIGHT AND TRUTH. PSALM 119.124 DEAL WITH YOUR SERVANT ACCORDING TO YOUR MERCY, AND TEACH ME YOUR STATUTES. THAT IS A WONDERFUL REQUEST TO THE LORD YOUR GOD; DEAL WITH YOUR SERVANT ACCORDING TO YOUR MERCY, AND TEACH ME YOUR STATUTES. GOD’S STATUTES ARE HIS LAWS WRITTEN IN THE LAW OF MOSES IN THE FIRST FIVE BOOKS OF THE BIBLE. HOWEVER A MAJOR PROBLEM TO TORAH OBSERVANT BELIEVERS IN MESSIAH YESHUA IS THE FALSE BIBLE TEACHERS WHO TEACH THAT THE SPOKEN WORD OF GOD IN THE LAW OF MOSES IS VOID AND ABOLISHED, AND THE PEOPLE WHO FOLLOW THE FALSE BIBLE TEACHERS. THEY OPPRESS US BY POURING OUT THEIR ANTI GOD DOCTRINE. PSALM 119.125 I AM YOUR SERVANT, GIVE ME UNDERSTANDING THAT I MAY KNOW YOUR TESTIMONIES. GOD’S TESTIMONIES ARE EVERY WORD HE SPEAKS IN THE BIBLE. AND GOD TESTIFIES THE TRUTH. AND GOD IS HIS OWN WITNESS. AND THE WRITER IS ASKING GOD TO KNOW AND UNDERSTAND HIS WORD. EVERYBODY SHOULD DESIRE TO KNOW THE SPOKEN WORD OF GOD. PSALM 119.126 IT IS TIME FOR YOU, LORD, TO WORK, FOR THEY HAVE MADE VOID YOUR LAW. BETTER SAID, IT IS TIME FOR YOU, LORD, TO ACT, FOR THEY HAVE VOIDED YOUR LAW. GOD SAYS THAT HE HAS GIVEN EARS TO PEOPLE BUT THEY DO NOT UNDERSTAND, AND EYES BUT THEY DO NOT KNOW, AND A HEART THAT IS FAT MAKING THEIR MINDS DULL, NUMB, SLUGGISH, HAVING NO UNDERSTANDING TO OBEY EVERY WORD GOD SPEAKS IN THE BIBLE INCLUDING TORAH, THE LAW OF MOSES. THUS FULFILLING MESSIAH’S WORDS WHEN HE SAYS, MANY ARE CALLED BUT FEW ARE CHOSEN. AND THIS DULLNESS OF MIND, NOT UNDERSTANDING, NOT KNOWING THAT GOD REQUIRES ALL MANKIND TO OBEY EVERY WORD HE SPEAKS IN THE BIBLE, INCLUDING HIS LAW OF MOSES, THAT DULLNESS OF MIND WILL CONTINUE UNTIL THE END OF THE GREAT TRIBULATION WHEN MESSIAH RETURNS. AND SO FEW PEOPLE WILL BE LEFT AFTER GOD DESTROYS THE WORLD BECAUSE OF THEIR DISOBEDIENCE TO THE SPOKEN WORD OF GOD IN THE BIBLE. BUT THE FEW WHO OBEY EVERY WORD GOD SPEAKS IN THE BIBLE AND HAVE FAITH IN MESSIAH YESHUA FOR THEIR ATONEMENT, ALONG WITH THOSE WHO BLESS THE JEWISH PEOPLE AND ISRAEL, WILL ENTER INTO HIS KINGDOM, THE 1,000 YEAR MILLENNIUM IN ISRAEL THAT WILL BE LIKE THE GARDEN OF EDEN, FOLLOWED BY ETERNAL LIFE IN HEAVEN. THAT IS THE MYSTERY OF THE KINGDOM OF HEAVEN, THE MYSTERY OF GOD AND MESSIAH, THE MYSTERY OF INIQUITY, AND THE MYSTERY OF THE FAITH IN A PURE CONSCIENCE. GOD REQUIRES OBEDIENCE TO EVERY WORD HE SPEAKS IN THE BIBLE, INCLUDING OBEDIENCE TO TORAH, THE LAW OF MOSES THAT RESULTS IN ETERNAL LIFE IN HEAVEN. AND THAT IS ALSO THE GOSPEL. EVEN THE MYSTERY OF THE GOSPEL. EPHESIAN 6.19 THE WORD UTTERANCE IS FROM THE GREEK WORD LOGOS MEANING, THE WORD OF GOD. PSALM 119.127-128 THEREFORE I LOVE YOUR COMMANDMENTS ABOVE GOLD, YES, ABOVE FINE GOLD. THEREFORE I ESTEEM ALL YOUR PRECEPTS CONCERNING ALL THINGS TO BE RIGHT, AND I HATE EVERY FALSE WAY. THE MYSTERY OF GOD IS EXPLAINED EARLY IN THE CREATION IN GENESIS CHAPTERS 2 AND 3 WHEN GOD GAVE ADAM A COMMANDMENT NOT TO EAT FROM A CERTAIN TREE, BECAUSE, GOD SAID, IN THE DAY YOU EAT FROM THAT TREE, YOU WILL SURELY DIE. BUT, LIKE TODAY, ADAM AND EVE LISTENED TO SATAN AND DISOBEYED GOD. SO ADAM AND EVE DIED. GOD CREATED THEM SINLESS TO LIVE FOREVER IN A GARDEN OF EDEN WORLD. BUT BECAUSE THEY LISTENED TO THE SNAKE SATAN RATHER THAN OBEYING GOD THEY WERE BOOTED OUT OF THE GARDEN OF EDEN, AND IN TIME THEY DIED. AND BECAUSE OF ADAM’S DISOBEDIENCE TO GOD, ALL HUMAN BEINGS ARE CONCEIVED IN SIN. BUT GOD HAS GREAT MERCY. PEOPLE WHO TURN TO GOD AND OBEY EVERY WORD GOD SPEAKS IN THE BIBLE FOREVER THAT INCLUDES HIS LAW OF MOSES, AND HAVE FAITH IN MESSIAH YESHUA FOR THEIR ATONEMENT, GOD FORGIVES THEIR SINS AND THEY HAVE ETERNAL LIFE IN HEAVEN. THAT IS THE GOSPEL, A MYSTERY TO THE WORLD. BUT SATAN CONTINUES HIS LIES BY TEACHING THAT ALL YOU NEED TO DO IS BELIEVE IN JESUS CHRIST, DON’T OBEY THE LAW OF MOSES BECAUSE JESUS ABOLISHED IT ON THE CROSS, AND YOU ARE ON YOUR WAY TO HEAVEN. MORE LIES OF SATAN TAUGHT IN SO MANY PLACES OF WORSHIP. GENESIS 5.3 ALL HUMAN BEINGS ARE CREATED IN THE LIKENESS AND IMAGE OF ADAM. WE LOOK LIKE ADAM, AND WE INHERITED ADAM’S SIN OF DISOBEDIENCE TO GOD. EVERY WORD GOD SPEAKS IN THE BIBLE IS TRUTH. SO MESSIAH SAYS, BEWARE OF FALSE PROPHETS. FALSE PROPHETS ARE RELIGIOUS IMPOSTERS WHO TEACH LIES SUCH AS JESUS ABOLISHED THE LAW OF MOSES. THE FRUITS OF THE PROPHETS OF GOD, AND ALL PEOPLE OF GOD ARE OBEDIENCE TO GOD. THEY LIVE BY EVERY WORD GOD SPEAKS IN THE BIBLE, AND THEY TEACH OBEDIENCE TO EVERY WORD GOD SPEAKS IN THE BIBLE INCLUDING GOD’S LAWS AND TEACHINGS WRITTEN IN IN THE LAW OF MOSES. RELIGIOUS IMPOSTERS LIE. THEY ARE ANTI GOD. THEY REJECT GOD’S WORD, HIS LAWS AND TEACHINGS THAT ARE WRITTEN IN THE LAW OF MOSES. AND MANY OF MESSIAH’S PARABLES TEACH THE MYSTERIES. THEY ARE HIDDEN IN SIGHT IN THE WORDS SPOKEN BY GOD IN THE BIBLE. THE TRUE BELIEVER IN MESSIAH YESHUA LOVES GOD’S COMMANDMENTS, EVERY WORD GOD SPEAKS IN THE LAW OF MOSES, ABOVE GOLD, EVEN FINE GOLD. AND THE WRITER SEES THAT ALL GOD’S PRECEPTS, EVERY WORD GOD SPEAKS IN THE BIBLE AND EVERY LAW GOD TEACHES IN THE LAW OF MOSES IS RIGHT. AND I HATE EVERY FALSE WAY, THE WRITER SAYS. BEWARE OF RELIGIOUS IMPOSTERS WHO TEACH LIES THAT THE LAW OF MOSES IS ABOLISHED, AND THAT JESUS SUPPLANTED THE OLD TESTAMENT. PSALM 119.129-130 YOUR TESTIMONIES ARE WONDERFUL, THEREFORE DOES MY SOUL KEEP THEM. THE ENTRANCE OF YOUR WORDS GIVE LIGHT. IT GIVES UNDERSTANDING TO THE SIMPLE. THERE IS ONLY ONE TRUE TEACHING IN THE WORLD AND THAT IS EVERY WORD GOD SPEAKS IN THE BIBLE FROM GENESIS THROUGH REVELATION. THEREFORE GOD’S TESTIMONIES, EVERY WORD HE SPEAKS IN THE BIBLE ARE WONDERFUL. AND WE KEEP THEM, AND GUARD THEM, AND PROTECT THEM FROM RELIGIOUS IMPOSTERS WHO TRY TO SEDUCE US WITH LIES TO STEAL THE LIGHT FROM US. THE LIGHT IS TRUTH, THE TRUTH OF GOD THAT GIVES UNDERSTANDING TO THE SIMPLE. PSALM 119.131 I OPENED MY MOUTH AND PANTED, FOR I LONGED FOR YOUR COMMANDMENTS. PSALM 119.132-134 LOOK UPON ME AND BE MERCIFUL UNTO ME AS YOU USED TO DO TO THOSE THAT LOVE YOUR NAME. ORDER MY STEPS IN YOUR WORD AND LET NOT ANY INIQUITY HAVE DOMINION OVER ME. DELIVER ME FROM THE OPPRESSION OF MAN, SO WILL I KEEP YOUR PRECEPTS. THERE ARE TIMES THAT WE MIGHT THINK THAT GOD IS FAR AWAY FROM US. LOOK UPON ME LORD AND BE MERCIFUL TO ME AS YOU USED TO DO TO THOSE WHO LOVE YOUR NAME. GOD IS CLOSE TO YOU BECAUSE YOU LOVE GOD AND YOU LIVE BY EVERY WORD GOD SPEAKS IN THE BIBLE. HE IS WITH YOUR SPIRIT. HE IS WITH YOUR LIFE. AND GOD WILL ORDER YOUR STEPS AND NOT LET SIN RULE IN YOUR LIFE BECAUSE YOU LIVE BY THE SPOKEN WORD OF GOD. AND GOD WILL DELIVER YOU FROM THE OPPRESSION OF MAN. THEREFORE KEEP GOD’S PRECEPTS. AND KEEP EVERY WORD GOD SPEAKS IN THE LAW OF MOSES FOREVER. PSALM 119.135 MAKE YOUR FACE TO SHINE UPON YOUR SERVANT, AND TEACH ME YOUR STATUTES. THE WRITER OF PSALM 119 IS ALL ABOUT TORAH, THE LAW OF MOSES, AND HOW WONDERFUL IT IS. AND HOW REFRESHING THAT IS BECAUSE SO MANY PEOPLE IN THE WRONG TRASH GOD’S TORAH, HIS LAW OF MOSES TO THEIR GREAT HURT. THEY WILL NEVER SEE THE KINGDOM OF HEAVEN UNLESS THEY BLESS THE JEWISH PEOPLE AND ISRAEL. THOSE WHO TRASH THE LAW OF MOSES TELL THE LIE THAT THE LAW OF MOSES WAS ABOLISHED BY JESUS ON THE CROSS BECAUSE HE FULFILLED THE LAW. THEY SAY THAT JESUS SUPPLANTED THE OLD TESTAMENT, EXCEPT, OF COURSE, THE VERSES ABOUT TITHING. THEY SAY THE LAW OF MOSES IS LEGALISM. THE WORD LEGALISM, AS ALL THEIR ANTI GOD TEACHINGS FOR ABOLISHING THE LAW OF MOSES ARE NOWHERE FOUND IN THE BIBLE. THEY ARE LIES. BUT LEGALISM IS FOUND IN THE DICTIONARY. LEGALISM IS DEFINED AS STRICT ADHERENCE TO LAW, ESPECIALLY TO THE LETTER RATHER THAN THE SPIRIT. THE THEOLOGICAL DOCTRINE OF LEGALISM IS THAT SALVATION IS GAINED THROUGH GOOD WORKS. LOOK, IT IS WRITTEN THROUGHOUT THE BIBLE THAT GOD REQUIRES STRICT ADHERENCE TO HIS LAW OF MOSES TO THE LETTER, WITH LOVE. THE UNIQUE AND SPECIAL BELIEVERS IN MESSIAH YESHUA WHO OBEY GOD’S LAW OF MOSES ALWAYS HAVE THE SPIRIT IN MIND. THE SPIRIT IS GOD ALMIGHTY, THE MESSIAH YESHUA WHO IS ALWAYS IN OUR THOUGHTS WHEN WE DO WHAT GOD REQUIRES IN THE LAW OF MOSES. BECAUSE MESSIAH YESHUA, WHO IS GOD ALMIGHTY WHO GAVE MOSES THE LAWS WRITTEN IN THE LAW OF MOSES, SAYS, IF YOU LOVE ME, KEEP MY COMMANDMENTS. AND MY FATHER WILL GIVE YOU THE HOLY SPIRIT WHO WILL REMAIN WITH YOU FOREVER. THOSE WHO REJECT THE LAW OF MOSES, OR BELIEVE IT IS OPTIONAL, OR TEACH THAT TORAH, THE LAW OF MOSES IS ONLY FOR JEWISH PEOPLE ARE WRONG AND DO NOT HAVE THE HOLY SPIRIT, NOR DO THEY HAVE SALVATION. THE WRITER OF PSALM 119 WROTE 176 VERSES THAT ARE ALL ABOUT THE LAW OF MOSES, AND HOW HE OR SHE LOVES TORAH, THE LAW OF MOSES BECAUSE GOD’S LAW IS THE VOICE OF GOD AND THE WORD OF GOD. AND OBEYING THE VOICE OF GOD WRITTEN IN THE LAW OF MOSES IS PROOF YOU LOVE GOD. BUT REJECTING THE LAW OF MOSES IS PROOF OF NOT LOVING GOD. PSALM 119.136 RIVERS OF WATERS RUN DOWN MY EYES BECAUSE THEY DO NOT KEEP YOUR LAW. Posted on March 3, 2019 March 3, 2019 Categories Shabbat MessageLeave a comment on IT IS TIME FOR YOU LORD TO ACT FOR THEY HAVE VOIDED YOUR LAW.